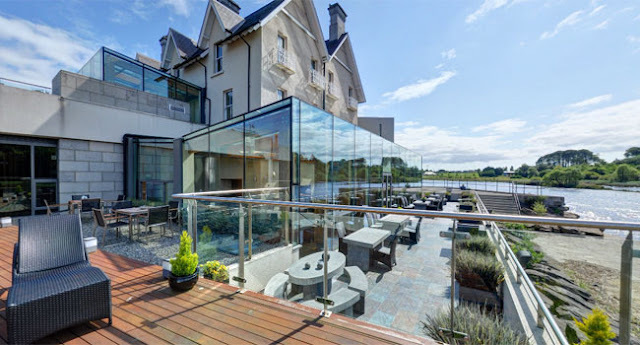 Spend two nights in a luxurious room overlooking the River Moy. During your stay choose from one of the following activities: Horse Riding at the Iceford stables, surfing in Enniscrone with 7th Wave, a relaxing boat trip around the bay or kayaking on the River Moy. Enjoy dinner one evening from the Table d’Hote menu. Also during your stay enjoy the great outdoors with a Wild Atlantic Way coastline drive to explore sites like Rosserk Abbey, Dun Briste Sea Stack and the Ceide Fields. Indulge in some down time with a 30min spa treatment in Chill Spa with complimentary access to our Thermal Suite, outdoor hot tubs and barrel sauna.